Hyundai and Kia will pay a combined $41.2 million to 33 states and the District of Columbia to settle charges it misrepresented fuel economy ratings on certain 2011, 2012, and 2013 vehicles. 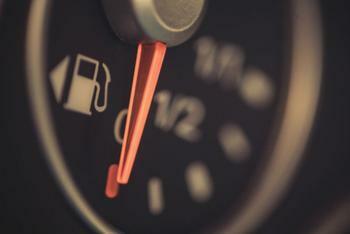 The issue goes back to November of 2012, when the automakers revealed they were adjusting and restating the fuel economy ratings for certain models because they had overstated them. California Attorney General Kamala Harris says it was an even bigger issue then because gasoline prices were sky high, especially in her state. California’s complaint against Hyundai and Kia alleged that the companies’ actions constituted violations of California’s Unfair Competition Law and False Advertising Law. It noted that the misstated fuel economy numbers occurred at a time when they would have had overweighted influence on consumers' purchase decisions. Missouri Attorney General Chris Koster says state and federal law require clear and accurate fuel economy labels on all cars and trucks sold in the United States. Auto manufacturers are required to conduct testing under mandatory protocols set by government regulators. It must then use the results of those tests to post accurate fuel economy information on each vehicle before it is sold. “These car companies deceived consumers into thinking they were purchasing vehicles that would be more fuel efficient than they really were,” said Illinois Attorney General Lisa Madigan. Connecticut Attorney General George Jepsen said the settlement serves notice on other automakers that fuel economy ratings are important, and they'll be held accountable when they aren't as advertised. Under the terms of the settlement, the actual consumers who purchased the cars in question will get no money. Rather, it will be distributed among the participating states. Hyundai and Kia have agreed to make sure its fuel economy data is correct in the future and will be subject to monitoring by the attorney general of each state in the multistate group.